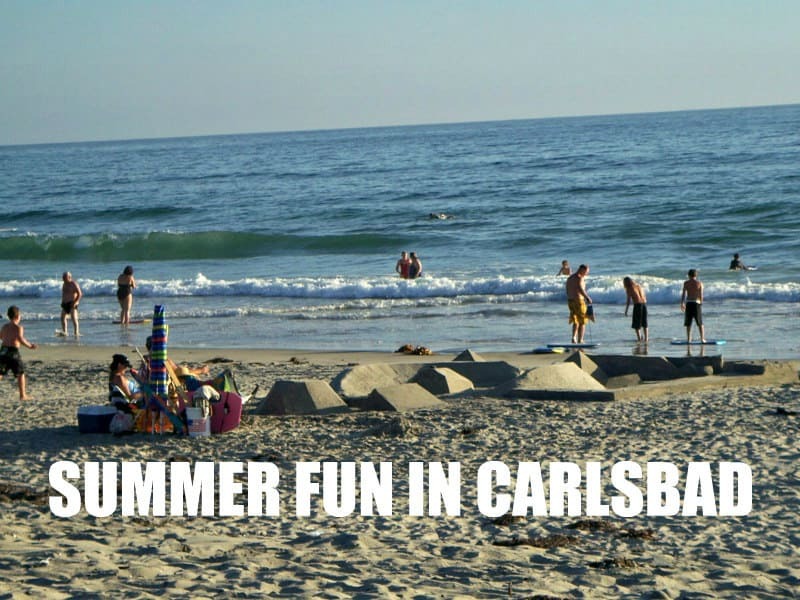 Carlsbad’s outdoor movies are just one of many popular activities to enjoy during the summer months. You probably already know about the Flicks at the Fountain, the free movie series on Thursday nights in Carlsbad Village at the Fountain (6 nights) through August 9. There are just 2 more nights in that series. And the Leo Carrillo Film Festival is coming up at the popular Leo Carrillo Historic Ranch Park in late August and September – stay tuned for more information. But we also have a popular combination, swimming and an outdoor movie, at the 2018 Float N’ Flick in Carlsbad, at the Aquatic Center at Alga Norte Community Park. This fun event is on Saturday August 25 from 6 – 10 pm with the movie, “A Bug’s Life,” starting at dusk (8 pm or so). Be sure to register in advance and get your wristbands so you don’t miss out – only 600 spots are being sold, as a cost of $8 per person (children 3 and under are free). Just bring your swim suits and pool floats and plan on a good time; rings and tubes will be available to purchase, too, if you don’t have them. Please be aware that outside food and drinks are not permitted! But the Dive in Grill will be open throughout the event for food and drinks, offering chicken sandwiches, burgers, and more. Register online early. Wristbands can be picked up ONLY during normal business hours at the Alga Norte Aquatics Center beginning August 4th. Be careful with those wristbands as those that are lost or forgotten cannot be replaced at the event, and all sales are final.No wristbands will be sold at the event!